A disciple enquired: “What is a monk’s purpose? 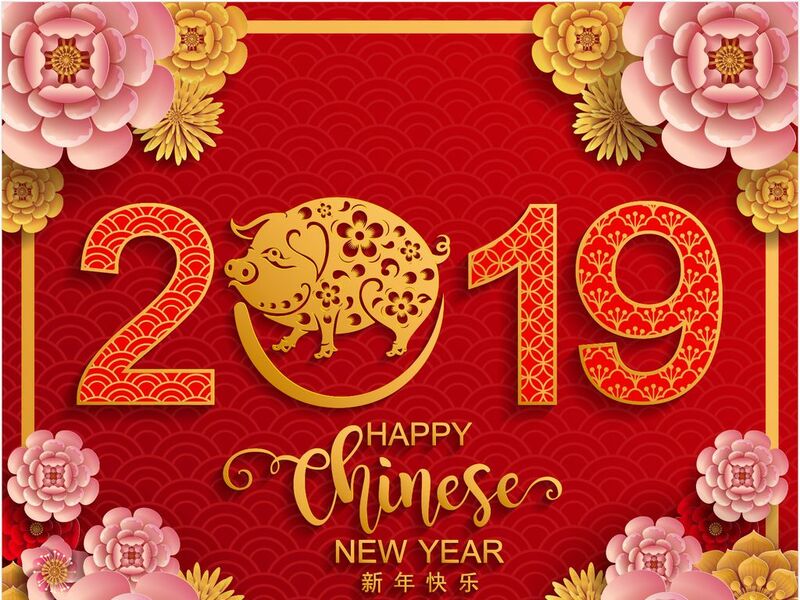 Blessings and Good Fortune to Each and Everyone of You! If we have the means to live in solitude to practice the Buddha-Dharma, then we are very lucky indeed! Of course, luck – If it exists at all – can vary in depth and strength. Great Master Xu Yun (1840-1959), when he possessed nothing in the wilderness other than his robe, thought he was blessed because he could sit upright (without distraction) and return all sensations to their unified and profoundly empty root. Yet, Old Master Xu Yun did not possess food or water in good or regular supply and had no access to others to request assistance in an emergency, or help with injuries or illnesses. Other than any medicinal herbs growing naturally around him, his isolation was very dangerous on the one hand, and very fortuitous on the other. Dangerous for the continuation of his physical life, and fortuitous as he had a very rare chance to break free of the tyranny of material existence. It is said that ‘virtue’ defines the opportunities we experience in life (which exist outside of the narrow confines of modern living). Virtue is an innate combination of good and wholesome thoughts and actions, integrated through interaction with the physical world and all beings contained therein. Whilst being humble and seeking the minimum for oneself (and the maximum for others), a certain sense of positive transcendence is cultivated that spreads through every cell of the body, through every thought and emotion, and out into the environment through good and positive behaviour. This process is purely spiritual in that although a physical body is required to follow the Buddha-Dharma, it is only through a ‘good intention’ in the mind that all behaviour changes and new (positive) thought patterns are generated that permanently replace the old habits (of thought and action). Indeed, although virtue is generated whilst living alone in the hills, it is only through interaction that virtue is revealed (naturally) and is known and experienced by others, and for their benefit. Virtue is developed by an individual but does not belong to any single person. We may generate virtue (a glowing and light-filled energy) that has a transformative effect on all it encounters, but for this to happen, all notions of selfishness must be abandoned. If we are limited in any way to an individual ego with all its worldly cares and petty concerns, then we can never generate the virtuous strength required to return the hearing to its non-hearing essence and escape the wheel of transformation. This is why Old Master Xu Yun was happy to live in a cowshed, as this was the best place for him to generate virtue, compassion and understanding until it became time to drop his body. All genuine Ch’an practitioners (during the three times and ten directions) must eternally learn from this. The last Year of the Earth Dog was in 1958. 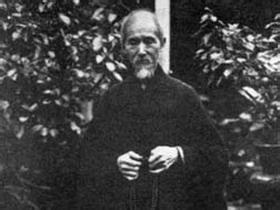 At this time, Master Xu Yun was in his 119th year of age. Throughout his long life (Xu Yun lived two cycles of the Chinese Lunar Calendar), he encountered pleasant, unpleasant and neutral situations. Life is not static even for those who live alone in the hills, or who live in busy temples. For lay people life can be very hectic with these three manifestations turning around and around every minute. For Buddhist monastics, depending upon their position in life, it is true that situations may be more tranquil, or at least avoid the more unpleasant manifestations of life, but even so, a Buddhist monastic living in the hills may never have enough to eat and suffer from the sun or the cold, etc, whilst a lay person might well experience a pleasant life surrounded by things that gratify the senses. Master Xu Yun always avoided reactionary responses and practised ‘indifference’ to all circumstances. He never fell into the trap of getting emotionally involved in taking sides within conditioned events, but always remained non-attached. When praised he ignored it, when criticised or falsely accused, he ignored it. Master Xu Yun certainly never courted praise, or tried to push criticism away. He was indifferent to conditioned events as they manifested and passed away. He always trod the middle path between the realised empty essence of phenomena, and the material manifestation of the empirical world. The physical world exists but is ‘empty’ of any permanent or unchanging essence. How many people can be like this today? If you are insulted, can you remain ‘indifferent’ and not identify with the insult? On the other hand, Master Xu Yun did not live in an internal fantasy world devoid of any connection with the external world. As is evident from his biography, he could take (or leave) positions of authority, and act with the most virtuous effectiveness in the world. This means that whilst being ‘detached’ from the world, he did not ‘reject’ the world, after-all, the material world is the place where the Buddha-Dharma is encountered, learned and put into practice. Just as in 1958 where Master Xu Yun aptly dealt with many serious issues in the world, 2018 should be a year for serious Ch’an study. The ICBI is a shining light designed to quietly help anyone in the world realise the empty mind ground here and now. Be strong in your practice and sit like an iron mountain! Cen Xue Lu: ‘The world is changing fast, where should I go (to maintain my practice)? ​The Ch’an-Mind in its ‘empty-essence’ is beyond coming and going. The years come and go, but the empty mind ground remains exactly the same. Seek that which is unchanging in the centre of that which changes, and find ‘stillness’ in ‘movement’, and ‘movement’ in ‘stillness’. 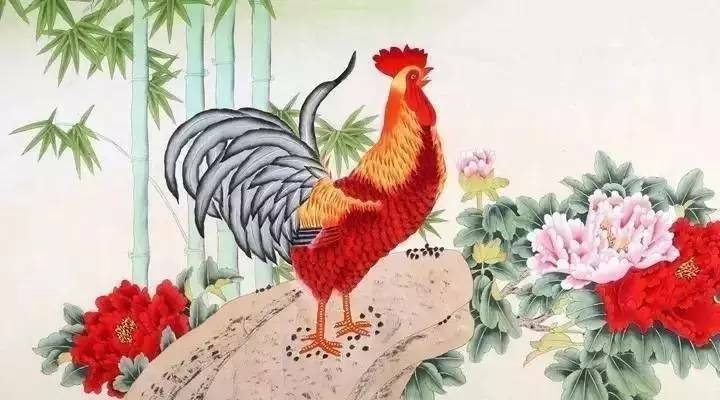 A rooster knows when to move and make a noise, and also when to remain still and silent, for the rooster it is all a matter of expert timing. The twelve animals of the Chinese Zodiac express a cyclic inter-play of the forces of Yin (negative) and Yang (positive). Each animal predominantly manifests one or the other of these two characteristics. Yin and Yang are simply two aspect of the same universal qi energy flow – sometimes the flow can be hotter (Yang) and at other times it can be cooler (Yin) – and every gradient that lies between these extremes. Of course, the ideal state is one of correct harmony between Yin (female) and Yang (male). However, the balance is forever shifting as the year unfolds and the days become warmer and brighter (Yang), before slowly shifting into becoming colder and darker (Yin) as the earth tilts toward and then away from the sun. The ability to set the calendar and correctly predict the seasons was important for all kings and emperors in ancient China because if the seasons were not properly regulated, the people did not know when to plant, grow or harvest the crops at the right time. Therefore the time of year has a certain qi energy flow associated with it that can be bright (Yang) or lacking in light (Yin) as in ‘shady’. As a consequence the fire monkey – as an example of intense Yang – is energetic, impetuous, and always taking risks. He or she is always active and taking on new and possibly dangerous undertakings. Although there is always the possibility that the fire will burn itself – the fire monkey is charming and honest in his restlessness and attracts many friends. The Empty Mind Ground of the Ch’an System correlates with the Wu Ji State of limitless emptiness that gives rise to all things (i.e. the State of Tai Ji). The State of Tai Ji is the Grand Ridgepole from which all qi energy flow emanates and transforms into Yin and Yang. Whereas the Wu Ji is the empty mind ground, the Tai Ji symbolises the thinking (moving) mind – both are inherently ‘empty’ – and it is this perfect integration of ‘void’ (Wu Ji) and ‘form’ (Tai Ji) that is the aim of Ch’an Buddhist practice. Do not become ensnared in the endless dance of externals, but strive to understand material objects as merely empty patterns of qi energy flow. Do not become attached to the void – but see the inherent emptiness as being able to contain all things. The myriad objects of material life must be correctly ordered and understood by the logical mind – but when this is accomplished, the logical mind must be penetrated through using precise wisdom and insight. Why is this important? The Ch'an masters were very concerned about heretical ideas and practices, and these concerns can be clearly seen in the various records of Ch'an teachings. This concern evolves around the Buddhist theory of 'karma', or 'cause and effect', and is premised upon the idea that if the Buddha's message is misrepresented (either deliberately or unintentionally), the potential exists to mislead untold numbers of people into highly negative avenues of behaviour and lifestyle directions. This is even true of those who think that Ch'an masters are 'rebels' or somehow 'breaking' all the established rules of correct behaviour. Such ideas are common nowadays, but they are not correct and are not applicable to true Ch'an practice. Master Xu Yun clearly explains why ALL Ch'an Buddhists must adhere to the Buddhist discipline as either a monk or a lay person. Only when the Buddha's directions are followed correctly can the enlightened Ch'an master appear to be acting in unusual ways - but it must be understood that prior to enlightenment - there is no such thing as 'acting in unusual ways'. Those who think that the Buddhist Path does not need discipline, have already lost the battle and allowed their unenlightened ego to 'win'. The Ch'an master of old put a stop to this nonsense by advising their disciples to 'lay it all down'. ‘Before the goat gets its horns, what is it? 6) Silk cultivation and weaving. However, as the Cat is independent, it turned-up late to see the Buddha, and so was ordered to share a year with the Rabbit. This is why those born in the year of the Rabbit can also claim to be born in the year of the Cat. During modern times, the Nationalist government (KMT) officially came to power on January the 1st, 1912 – and although the KMT adopted the Western Gregorian calendar, many people kept on using the lunar calendar to measure time and work-out dates. This all changed on October the 1st 1949 when Mao Zedong came to power and ordered that modern China should be brought into line with the modern West. This was when the Gregorian calendar was formerly adopted for official purposes, but today it works side by side with the ancient lunar calendar. May All Beings Attain Release! 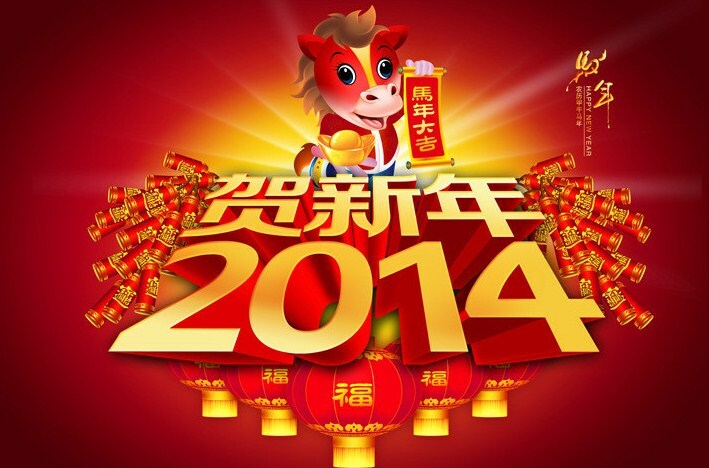 To all ICBI Members, families and friends, we wish you a Happy New Chinese Year of the Horse: 恭禧發財(Gōng Hè Xīn Xǐ)! 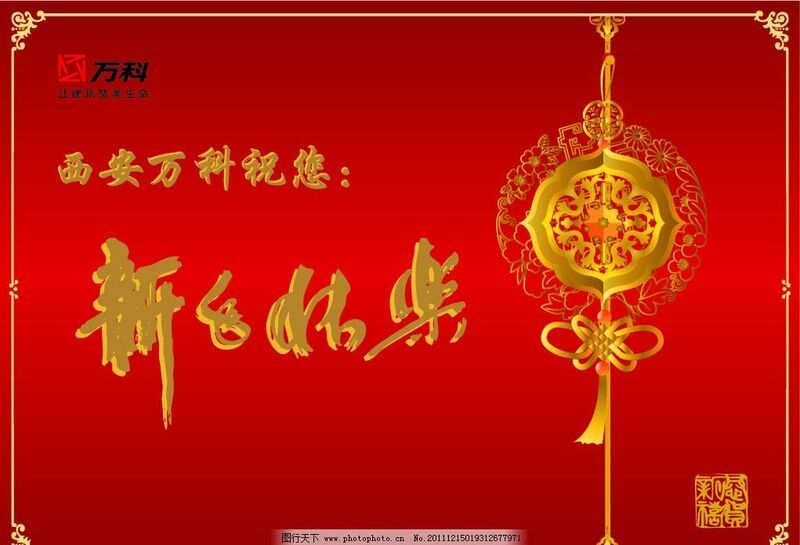 新年好 (Xīn Nián Hǎo)! 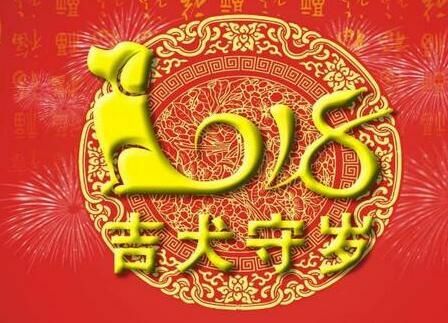 The ICBI was born in the Year of the Snake and now enters the Year of the Horse – may great energy imbue all its activities! The ICBI China Office (Beijing) hereby confirms that the ICBI UK (London) Office is to serve as the permanent administrative centre for the day to day running of the International Ch’an Buddhism Institute in all its duties, and that this acknowledgement is not limited to geographical boundary, political regime, or economic system. The ICBI is non-hierarchical in structure but acknowledges that those with knowledge (teachers) must teach those who wish to learn (students), and that this relationship is not static, but evolutionary and progressive. A new way of interacting can only be achieved through the practice of mutual respect. The ICBI China Office (Beijing) acknowledges and respects all Buddhist lineages without exception. The True Mind can be expressed in many different and varied ways. This is why individuals encounter Ch’an and Zen in many different situations and through varying socio-economic conditions. This encountering of Ch’an and Zen will have a diverse meaning to those involved and this will cause differences in superficial understand and interpretation – just as a tree has many branches but a single trunk. For Ch’an and Zen to be strong, its roots must be planted far and wide in the world. Although all beings belong to human groupings, it is through individual motivation and effort that a good practice is established and developed. Western practitioners are held in high regard in this respect, as it is understood that to establish a regular practice is a very difficult thing to achieve – this is exactly the same in modern China and in this respect no difference can be discerned. We must assist one another in mutual brotherhood and respect so that the Dharma is strongly supported and that society benefits as a result.